Some products you have a casual, cursory exposure with, and others you have a relationship with. Audio Research is a brand I’ve had a long relationship with. They are one of about six brands that I go back decades with, having owned nearly 20 of their products before I even started reviewing hifi gear. And like any relationship, it hasn’t always been a love fest. There are definitely ARC models that I’ve liked more than others. I still have their legendary D79 – considered by many to be one of their finest achievements. Though the D79 is a fairly complex design, it started a trend that led to the Reference amplifiers; a solid amplifier circuit combined with a massive power supply. Anyone who has heard the D79 knows that this amplifier plays much bigger, louder, and more dynamic than you would ever expect a 75 watt per channel amplifier to play. And it had bass grip like precious few tube amplifiers did, back in the 70s, or even today. 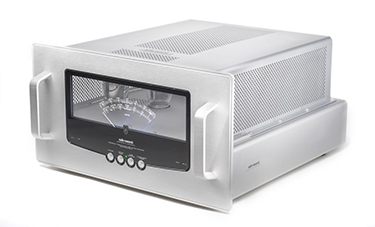 The amplifier that came really close to the sound of the legendary D79, was the now discontinued GS150 – offering a touch of warmth, yet with plenty of dynamic reserve. And those beautiful meters. The industrial design sense of Audio Research entered the modern age with the GS150, now a beautiful piece of audible art to proudly display. Great as the GS150 was, there was a subtle lack of resolution that kept it in the “really great amplifier” category, instead of “one of the best amplifiers I’ve ever heard category.” The 160Ms smash that wall down. And while you might be tempted to exhaust your adjective gland, this result is more logical. 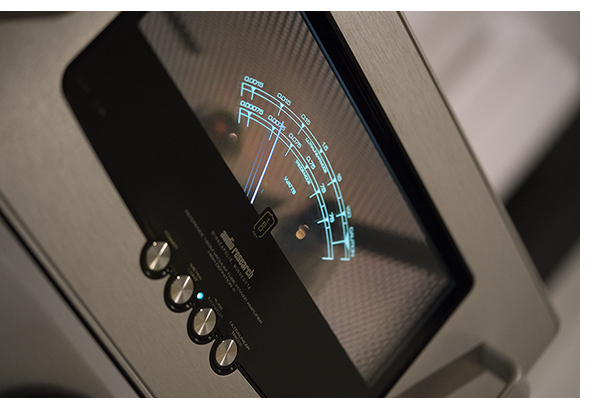 Audio Research has building great amplifiers for over 40 years now. They’ve learned a lot, having tried a lot of things that don’t work during that period. Yet these amplifiers go beyond that. I don’t want to spoil the review, but that’s going to take a while, and if you’re thinking about a holiday gift for yourself, or someone you know that would like a pair, do it. Much as I hate to use superlatives, because it leaves you nowhere to go in the future, the 160Ms reveal more music than anything else I’ve ever heard from Audio Research. And they are one of the finest designs I’ve had the pleasure of listening to at any price. Considering how disappointing a number of six figure amplifiers I’ve heard have been, these are a mega bargain at $30,000 a pair. I wouldn’t be surprised decades from now if the 160Ms are spoken about in the same hushed tones as the D79. They are that good. Better, actually. If you’re looking for an overly “tubey” sounding pair of power amplifiers, these will not be for you. However, if you are looking for power amplifiers that offer an incredibly rich musical experience that will make it easy for you to forget about the gear entirely, and 150 watts per channel is enough to drive your speakers, these are my choice. Next News Item: PrimaLuna EVO series is here!